Jessica holds a B.S. degree in Kinesiology from the University of Kentucky. She has over 15 years of experience dedicated to the health and wellness industry. She has worked as an exercise specialist and a health behavioral director within the corporate health and wellness field. 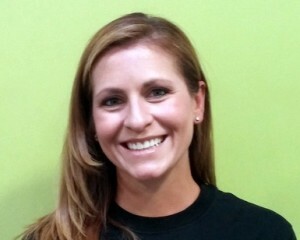 Within her experience, Jessica has trained clients of all ages, including young adolescents and senior citizens. Her career as a Health Behavioral Director granted her the opportunity to educate employees on how to make behavioral changes with regards to weight loss, smoking, hypertension, and diabetes. She has also participated in fitness competitions, which encouraged her to pursue personal training. Jessica is motivated to stay current with the ever-changing fitness trends. By doing so, she has branched out by teaching group fitness classes such as Tabata circuit bootcamps and TRX classes. She is also certified in PiYo, which combines yoga, Pilates and cardio. When working with clients, she likes to focus on improving their self-esteem and confidence, while advancing their health and well-being. She believes that fitness and nutrition is a lifestyle. Jessica lives in Lexington with her husband, Brandon, and her twin daughters, Madeline and Caroline.